With full orchestra and soloists! "In truth, the Dedham Choral Society easily holds its own in Boston's crowded choral field." Dedham Choral Society presents outstanding performances of significant choral works to inspire and excite our audience and our singers. We are musicians who find and share the joy of music while striving for musical excellence and professionalism. We seek to challenge and foster growth in ourselves and our audiences by performing challenging works in original orchestration, language, and intent, in and around Dedham and Boston. We employ professional orchestral musicians and vocal soloists. We are dedicated singers who form lifelong friendships through our shared love of music. We engage in community outreach. We seek challenge in our music and growth in our musicianship. We strive for professionalism in all we do. We are an organization with dedicated members. We promote friendship and mutual encouragement among our membership. 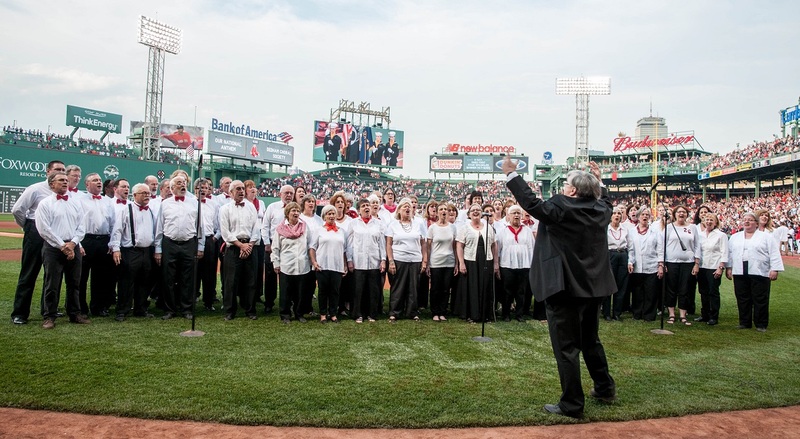 Dedham Choral Society is one of the Boston area’s premier community choruses, widely recognized for excellent musicianship, enjoyable and challenging repertoire, and the enthusiasm and energy of its members. You can support DCS by shopping at Amazon.com. Click on the above logo and DCS will receive a percentage of anything you buy! 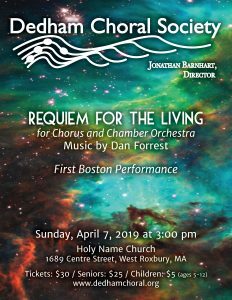 One of Boston area's premier community choruses, the Dedham Choral Society is widely recognized for excellent musicianship, enjoyable and challenging repertoire, and the enthusiasm and energy of its members. © Dedham Choral Society 2019. Homepage photograph courtesy of Steven Handler.